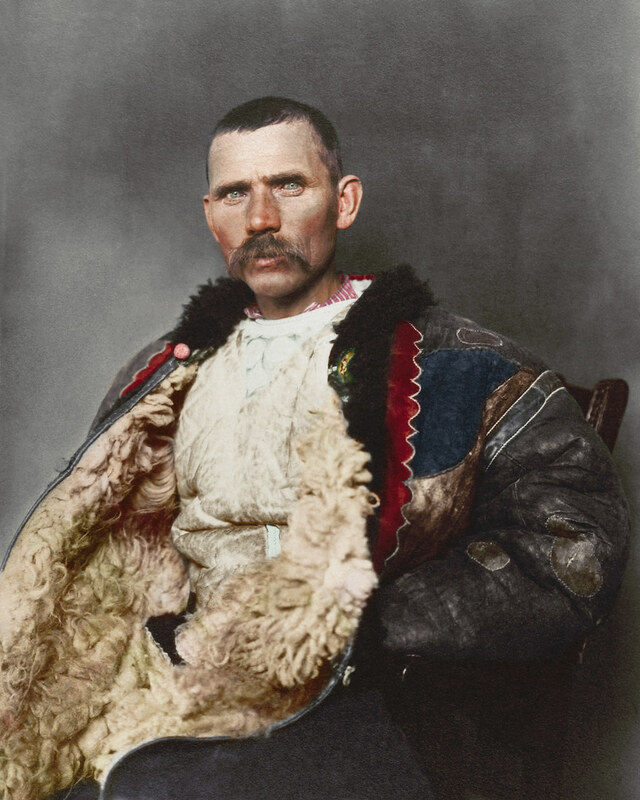 Dominating the photograph is a traditional shepherd’s cloak known as sarică, made from three or four sheepskins sewn together with the fleece facing outwards and generally extended to below the knee, which could be used as a pillow when sleeping outdoors. Sheepskin was also used to make the shepherd’s cojoc, an embroidered sleeved coat that had tassels, leather strips, and other small decorative elements added. This particular example wasn’t likely used for practical purposes given the amount of decoration adorning it.